This is a simply awesome 20x16 color image of Jordan with hair dunking very high in the air in the 1980s. 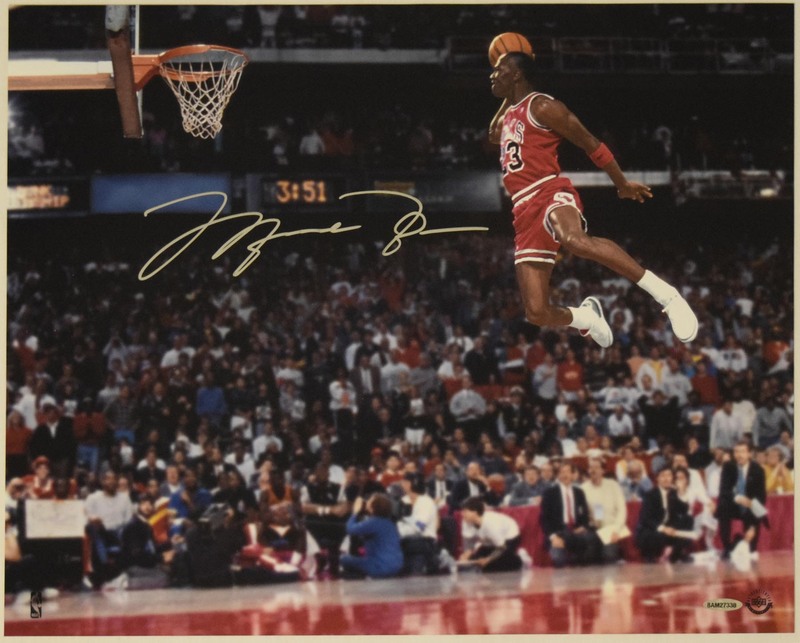 A signature image from the Slam Dunk contest, the autograph is also special. Jordan signed this in Mint silver sharpie ink, the autograph is an amazing nine inches long! This comes with the UDA paperwork.